Episode 0 - "Silvestri Infinity"
Soundcast Stereo episodes are a two channel, 30 minute conversation focused on a single topic from the world of film, television, or video game soundtracks. 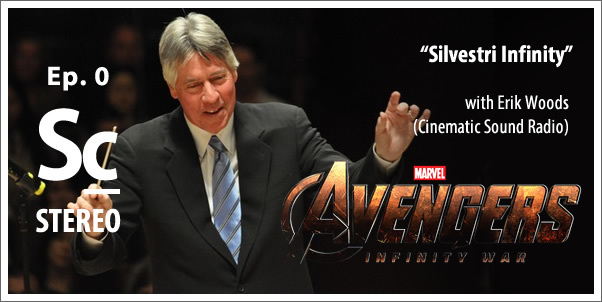 Our beta-episode features ERIK WOODS (CINEMATIC SOUND RADIO), who joins Christopher Coleman to talk about the recent news that composer ALAN SILVESTRI will be composing the original scores for, what is anticipated to be, two of the biggest superhero films in history: THE AVENGERS: INFINITY WAR PART 1 AND PART 2. 00:00 - What is SoundCast Stereo? 13:06 - Slashfilm article - DCEU musically superior?